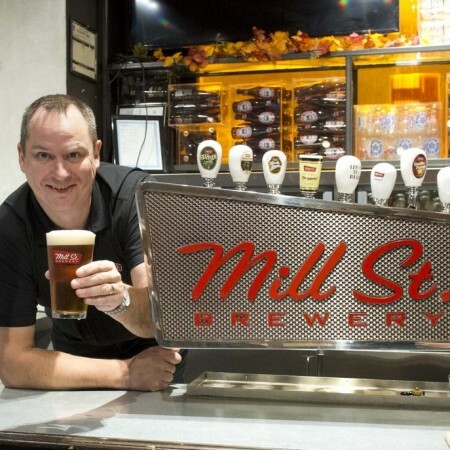 TORONTO, ON – After 32 years in the brewing industry, Joel Manning has announced that he is stepping down from his full-time position as Brewmaster at Mill Street Brewery at the end of 2018. Manning started his career in 1986 with Amsterdam Brewing, and has been with Mill Street since 2005 when he took over the Brewmaster role from founding brewer Michael Duggan. Replacing him in the position will be current Director of Brewing, Kaitlin Vandenbosch. This has been one of the hardest decisions of my life and I leave with tremendously mixed emotions but am very excited to be moving on to a new chapter. I have no immediate plans other than to take some time to catch my breath (and maybe a fish or two) and spend more time with my family. All is good in my world!